My love for this oil started on a shoot with Frock n Fabulous and the beautiful Model Jo Archbold let me in on her beautiful skin secret…. 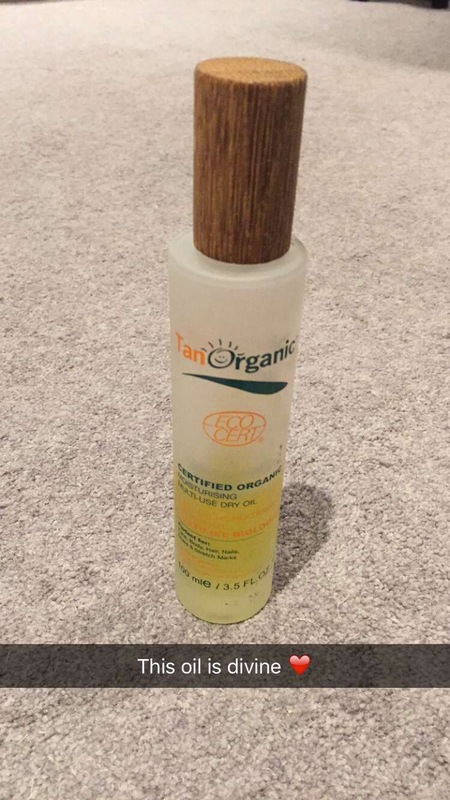 Since then I was delighted when Tan Organic sent me some to try. I’ve brought it with me everywhere and used it on everyone and everything. The biggest plus for me is the fact it can be used for hair, skin, hands, dry skin, tight skin, just wonderful and the smell is so gorgeous and light and it dries so quickly too which means it’s perfect to apply after the shower in the morning before you get dressed. I decided to try this on my “winter feet” ( dry from winter,cold weather) and put my socks on and slept overnight. The next morning my skin has improved, it definitely worked. I’ve also added it to my bath and have used it on the ends of my hair to make them appear less dry. It’s also great for little fly away hairs instead of using hair products and as its moisturising it nourished the hairs and scalp and improved the appearance too.